A 6 bottle mixed case of the Xarel·lo's, the Porcellànic Xarel·lo and Porcellànic Xarel·lo Sur lie. 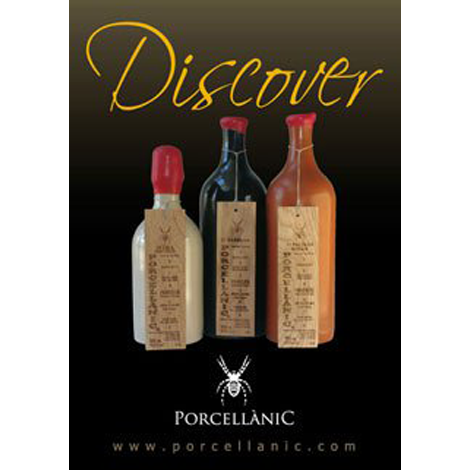 Porcellànic Xarel·lo: In appearance, this wine is of a golden colour. On the nose, we can find white fruits that mingle with the French oak aromas. On the palate, this wine is well-balanced (the authentic expression of common sense and craziness). It is elegant and soft and the pear and apple aromas combine well with those from the oak. Porcellànic Xarel·lo Sur lie: In appearance, this wine is of an intense golden colour. On the nose, we can find complex aromas of ripe fruits like those of apples and lychees that blend with the elegant spicy aromas from the new French oak barrels. On the palate, this wine is powerful, fresh and well-structured with a mouth-filling explosion of ripe fruits and finesse from the oak.